IT Cosmetics recently came out with a brand new foundation. 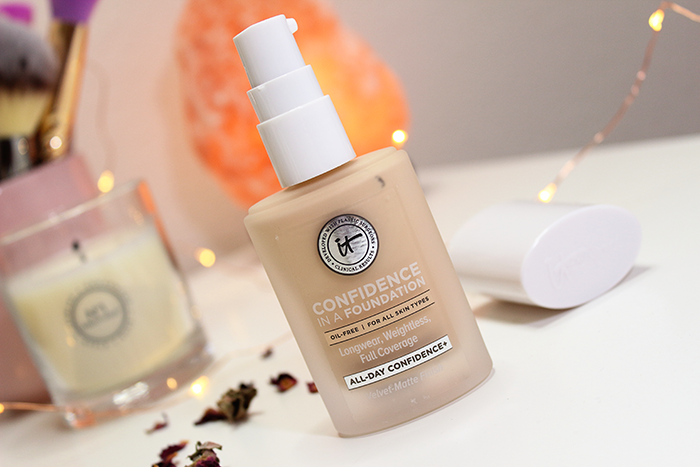 Meet the Confidence In A Foundation! 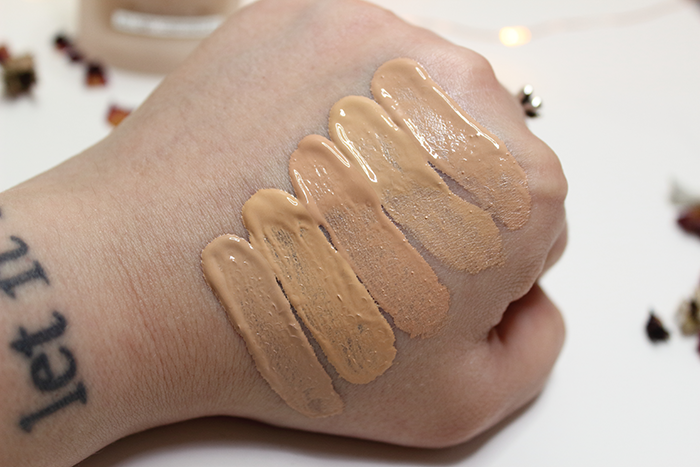 This full coverage, oil-free matte foundation promises to be long wearing and weightless. It’s infused with ceramides, peptides, hydrolyzed collagen, hyaluronic acid, and squalane. I really like their other foundations and most recently their Oil-Free CC Cream. So I just couldn’t wait to test this out. 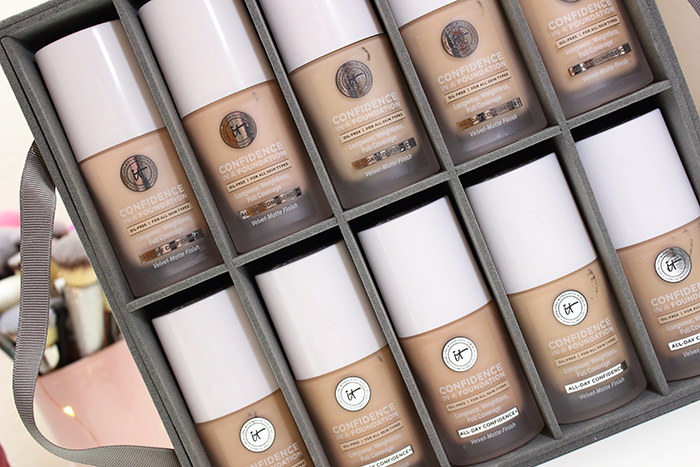 As most of you already know I’m not big on full coverage foundations. I’m sure I could benefit from it, but I just hate the way most feel on my skin. Even the ones that claim to be weightless end up feeling so heavy. It’s just not something I feel comfortable wearing. They also tend to be really thick and can end up looking cakey if you aren’t careful. I’d rather just use a medium buildable coverage and if a few imperfections peek through so be it. I’d rather look imperfect and natural than have a ton of makeup caked on my face. 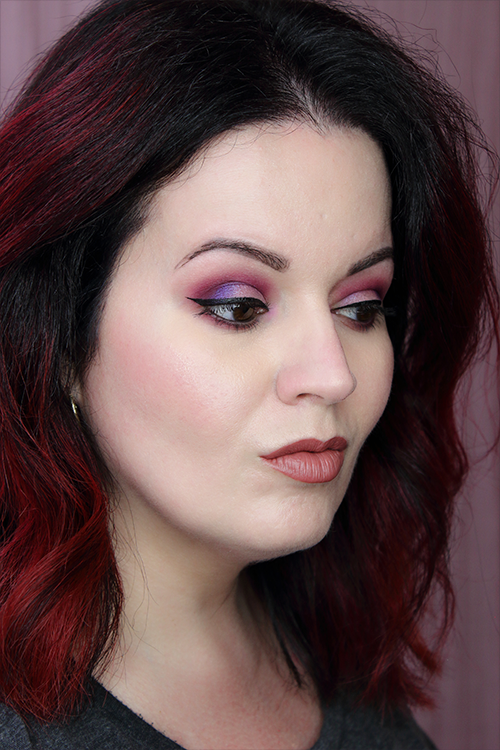 So I was really curious to see how I’d get along with the IT Cosmetics Confidence In A Foundation. There are 48 shades to choose from. It might be tricky finding your shade based on hand swatches alone, but I still swatched every shade I received in case you were curious as to what they look like. I suggest going to Ulta or Sephora and swatching them in person to find your perfect match. Usually their Light shades are a decent enough match, but this time I found that their Light Beige (125) was a better match for me. It’s on the thick side, but I didn’t find it to be so thick that I couldn’t blend it out easily. It does dry a little fast, but I didn’t have to rush through application. It builds up pretty nicely, but it can get a little cakey if you get too carried away or have any dry patches. 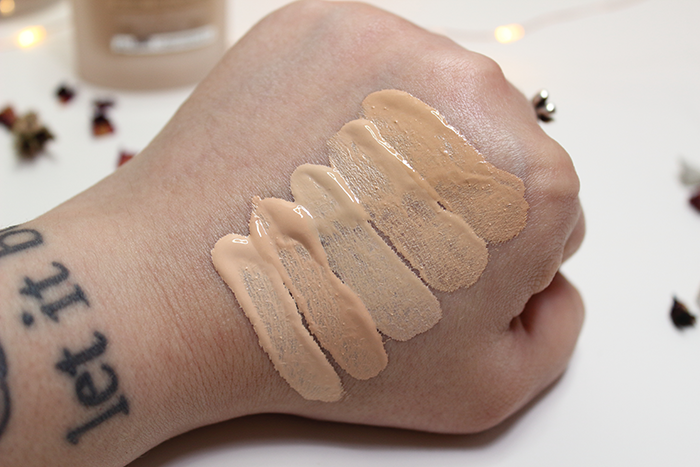 The coverage is pretty amazing and looks surprisingly natural. It did an amazing job at evening out my redness. I would say it does feel pretty weightless so long as you don’t go too crazy layering. It felt really nice and made for a super comfortable wear. 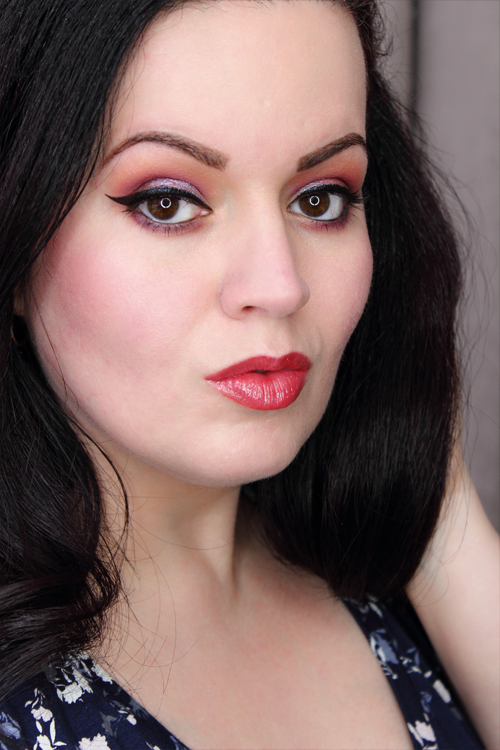 You can see the IT Cosmetics Confidence In A Foundation in action below. Overall, I’d have to say this foundation is a real winner. Honestly, wearing a full coverage foundation regularly is going to take me some getting used to. But I feel like the IT Cosmetics Confidence In A Foundation will make the transition that much easier for me. It’s a really beautiful foundation. The only issue is finding that perfect shade. So far I feel like the Light Beige (125) is looking pretty good on me. But you really need to try these in person to find that perfect match. Because some of these light shades are definitely not light and more orange. Even some of the fair shades look a bit orange to me. Not really sure what’s up with that. Thankfully the Light Beige (125) blended out beautifully and ended up being a really nice match. 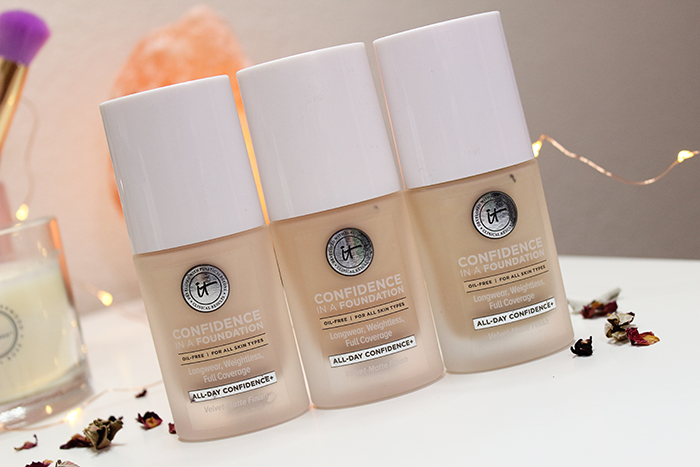 Have you tried the IT Cosmetics Confidence In A Foundation? What is your current go-to foundation? The reviews are so mixed with this foundation so I am a little worried about purchasing. Do you prefer brush or sponge application?